When I read Anne of the Island, the third of L.M. Montgomery’s “Anne” books, as a child, I was living in Halifax. I remember being aware that Montgomery based “Redmond College” on Dalhousie University, and “Kingsport” on Halifax, but I was absorbed in the story and didn’t pay much attention to the landmarks described in the novel. I’ve learned a lot more about Halifax history since then, and I’ve spent a lot of time at Dalhousie, so when I reread the book recently, I found I was even more interested in the setting than in its heroine. Kingsport is a quaint old town, hearking back to early Colonial days, and wrapped in its ancient atmosphere, as some fine old dame in garments fashioned like those of her youth. Here and there it sprouts out into modernity, but at heart it is still unspoiled; it is full of curious relics, and haloed by the romance of many legends of the past. It has in its park a martello tower, autographed all over by tourists, a dismantled old French fort on the hills beyond the town, and several antiquated cannon in its public squares. It has other historic spots also, which may be hunted out by the curious, and none is more quaint and delightful than Old St. John’s Cemetery at the very core of the town, with streets of quiet, old-time houses on two sides, and busy, bustling, modern thoroughfares on the others. 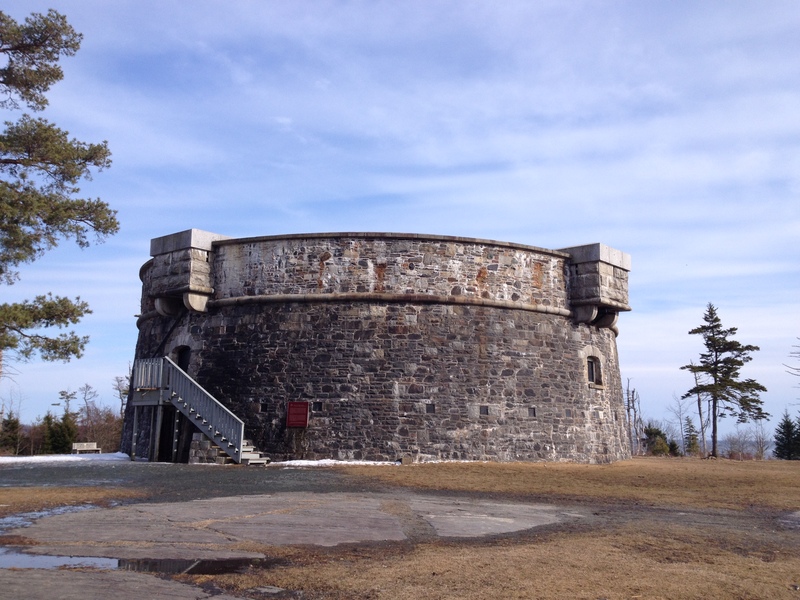 The Prince of Wales Martello Tower in Point Pleasant Park, built in 1796-97 under the direction of Prince Edward, Duke of Kent. Montgomery lived in Halifax and took classes in English literature at Dalhousie in 1895-96, and she boarded in a house on Barrington Street. Barrington, a favourite street of mine because I lived there when I was in graduate school in English at Dalhousie, is fictionalized in Anne of the Island as St. John’s Street. Old St. John’s Cemetery is the Old Burying Ground (the cemetery for St. Paul’s Church), and I’ll write more about it soon. You can also read more about this topic in “L.M. Montgomery’s Halifax: The Real Life Inspiration for Anne of the Island,” by Sue Lange, and “The Dalhousie Girls,” by Christy Woster, in The Shining Scroll, the newsletter for the L.M. Montgomery Literary Society. The newsletter reproduces some lovely old postcards with views of places in Halifax, including Young Avenue, Point Pleasant Park, the Old Burying Ground, and St. Paul’s Church. Looking out to sea from the Martello Tower. I took these pictures last Sunday; the park is now covered in snow once again, because of the major storm that started yesterday. Springtime in Nova Scotia! These posts are so interesting to me, because (due to having read the Anne books growing up in Vancouver, when I could not have pointed to Halifax or even PEI on a map!) in my head I never connect them to Halifax or Dalhousie at all! I should, obviously — and now I can, thanks to you. I’m so glad you’re enjoying them, Rohan. It’s been fun to return to books I loved so many years ago. When my family first moved here, I really disliked Halifax and I missed the prairies terribly. 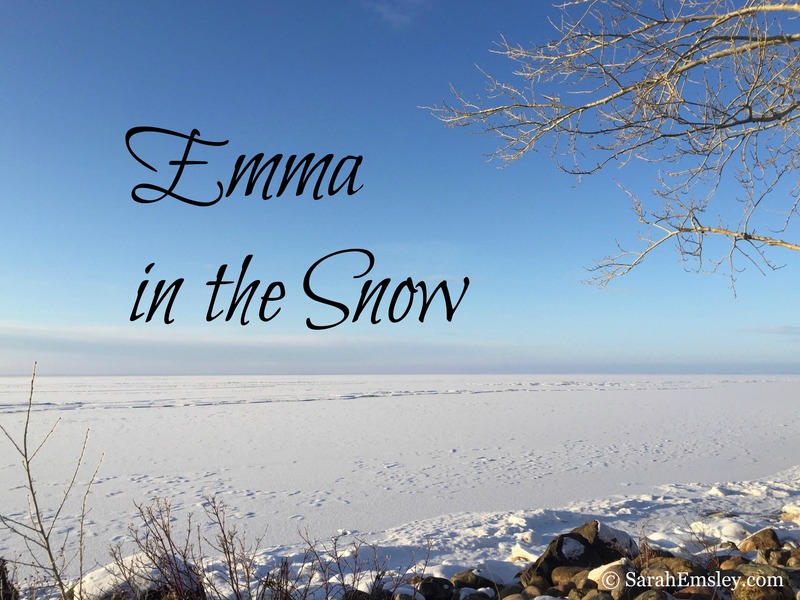 There was something about reading the Anne books, with PEI’s combination of Alberta-like farmland and Nova Scotia-like seacoast, that helped me learn to love my new home in the maritimes. This was so interesting, thank you. I enjoyed the link, and reading some of the articles by Sue Lange, etc. How thrilling to have been able to school at Dalhousie! 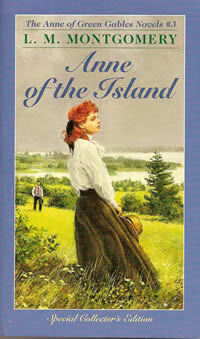 Anne of Green Gables, and the world of Avonlea, read oh so many years ago, was my main inspiration for wanting to write. Loved Anne, loved the story, loved the writing, loved the feeling that reading those books have given me over the years. Someday I hope to visit the island. Oh, I do hope you get to visit PEI someday. It’s well worth the trip, especially in July or August. For some reason, I often go in June, when it’s still a little too cold to spend much time at the beach. But it’s a beautiful place even when it’s chilly (much like Nova Scotia). Did you read the Emily books, too? Those ones, plus Montgomery’s autobiography, “The Alpine Path,” inspired me to be a writer. I do feel very fortunate to have studied at Dalhousie – and with Rohan Maitzen as my supervisor for a PhD on Jane Austen. It was an excellent combination. Like Rohan, I first read the Anne books growing up in Vancouver and had no idea that she went to university in Halifax. I reread them all when I moved to Halifax, in preparation for my first trip to PEI, and it became obvious that she was talking about my new home town…and Dalhousie, my new university. I was also told by a neighbour who seemed to know a lot about local history that LM Montgomery boarded on Church Street (where I was living at the time), one block from Barrington. Any truth to that, I wonder? Hi Vivian — yes, she boarded at 23 Church Street when she was working as a “newspaper woman” at the Halifax Daily Echo in 1901-02. Montgomery moved to 25 Morris Street in the spring of 1902. She lived on Barrington (which was then called Pleasant Street) when she boarded at the Halifax Ladies’ College in 1895-96. Can I admit to being an intense ANTI-Anne of Green Gables young girl? Maybe I made a mistake. I was a huge reader, but refused to read those books! Great post! Yep, you made a mistake. Green hair. Layer cake flavoured with anodyne liniment. Walking the ridgepole on a dare. Mouse drowned in the pudding. Plus getting your best friend drunk by accident. And what’s not to like about smashing that slate over Gilbert Blythe’s head? Thank you for confessing. I think you should give Anne another try. A very interesting post! Why do you think Montgomery chose to us a fictional name, Kingsport, for a setting which was essentially Halifax? Was it thought to make the place more universal for the reader? Dalhousie University, had it been named, would be delighted to be able to claim Anne as an alumni, albeit a fictional one. I look forward to hearing more about the Old St Johns Cemetry (Old Burial Ground). I think Anne would have liked the Sebastopol Monument, the splendid arched monument topped by a fine large sandstone lion. I believe it is memory of two Haligonian army officers killed in the Crimean War. Thanks, Sheila. Montgomery gave new names to PEI places, too, most notably “Avonlea” for Cavendish. And yet the stories are very firmly set in PEI, and in Nova Scotia, which makes it seem as if she wanted some distance from real places, but not too much. I think Dalhousie can still claim Anne as one of their (our) own, just as Cavendish does. She does indeed like the Sebastopol Monument in Anne of the Island, and yes, it’s dedicated to the memory of Major Augustus Welsford and Captain William Parker. More on that soon. Yes, but Kingsport isn’t a fictional name. It is the name of a village about an hour north of Halifax. I have a cottage there and have always wondered if she ever visited. Once upon a time I adored all things to doing with Canada because as a child I spent many vacations in different parts. I longed for the English part of it but spent time in its opposite. I even attempted doing a short story with the heroine being of Russian descendants and teacher of history and the arts in Halifax, Nova Scotia and retiring to New York or such. My research was limited. Viewing of this post made me wished for more of this ideal. I don’t travel since no income and fearful as I am older. I should say more fearful. Thank you for sharing. You’re welcome — I’m glad you enjoyed the post. All the best for your research and writing. Maybe you’ll return to that story someday. I think you posted the wrong pavilion at PPP. It makes more sense to have the proposal etc. set in the one near the container pier as that was the home of the Yacht Squadron at one time – the perfect place for Roy to be coming home from as a scion of a Halifax south end family. The Church St. house still exists but the Morris St ones don’t. The Forrest Building at Dal is still standing and you can envision Anne and Phil going up and down those stairs! 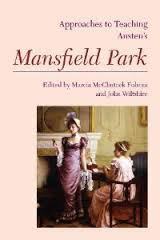 I’ve also written about Anne/Maud in Halifax in the LMM Album. Since then I discovered that the home of the newspaper does exist and it’s my favourite part of the Old Triangle Tavern. Thanks very much for visiting and commenting, Carol! My photos are both of the pavilion near the container pier, rather than the one closer to the Northwest Arm. I got a good picture of the Forrest Building last week, and I’ve been meaning to go to Church Street to have a look at that house. What a lovely discovery that the Daily Echo building is still standing — an excellent reason to visit the Old Triangle…. Hi! I just read in another source that excerpt from LMM’s journal that mentions the house on Church St, and I was wondering which one it was. Any idea what 23 is in contemporary civic numbers? I think Church St is all 1200s now. Thanks for visiting, Sandra. I still haven’t been to look at the Church Street house. I think there’s a photo of it in Carol Dobson’s “Halifax Days” section of The Lucy Maud Montgomery Album, but I don’t have the book handy right now. Sandra, I don’t know if you’ll see this reply, given that three years have passed since you first asked your question about 23 Church Street, but in case you do receive a notification about it, here’s what I’ve found out. Thanks very much for visiting, Shelley. 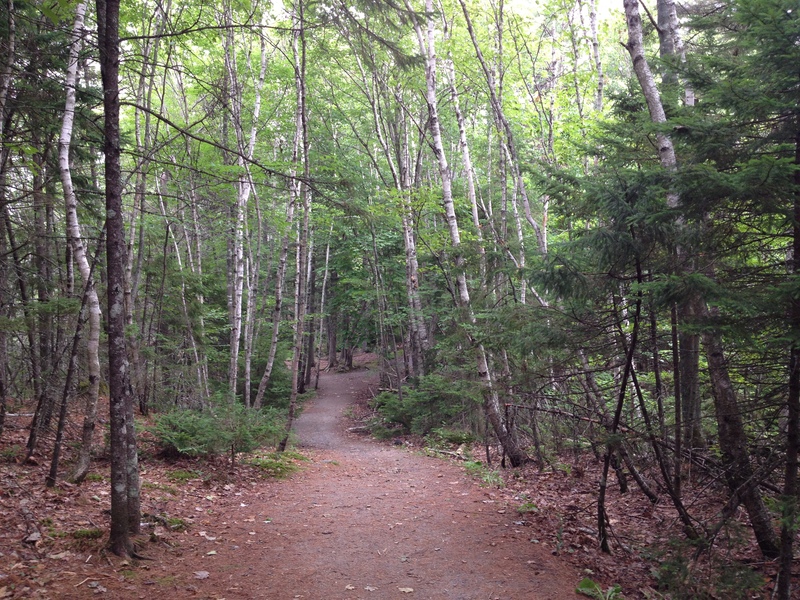 The blog, I mean, as well as Halifax and Lunenburg. I’m now picturing all the buildings in Lunenburg painted purple, to suit Anne’s vision of what diamonds should look like. I have a family cottage in Kingsport, Nova Scotia (an hour north of Halifax) and I’ve always wondered if Montgomery knew of or visited it. Good question, Sylvia, and I don’t know the answer. I’ll keep that in mind, though, as I continue to read about her. Sarah: any ideas on where Patty’s Place might be? I assume that Spofford St. Is Young Avenue. From Montgomery’s description of “Spofford Avenue” – based on Young Avenue – it appears she was aware of considerable community resentment when Young Avenue became Halifax’s first restricted residential area in 1896. 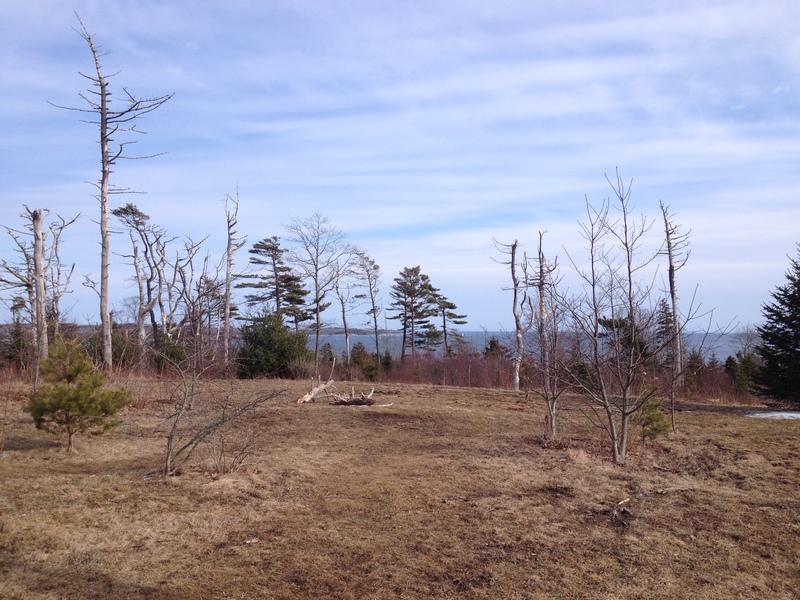 This decision stemmed from the large amount of money the City Council had spent building, grading and beautifying the avenue from Inglis Street up to the impressive South Park entrance gates, considered the crowning beauty of Point Pleasant Park. … It is Hiram and Florence Wier’s home which provides the link to a possible real life inspiration for Patty’s Place … With a change of street numbering in the 20th Century, it is difficult to pinpoint exactly whether the original cottage the Wiers occupied still remains. Carol Dobson has also written about Montgomery’s “Halifax Days” in The Lucy Maud Montgomery Album (1999). I have found this all fascinating. I have loved the ‘Anne’ books since I was about 12 or so. Indeed I have made it a mission to collect all the L.M. Montgomery books. I particularly like Jane of Lantern Hill , The Story Girl two books, A tangled Web and The Blue Castle. I gave always wondered where Anne’s Redmond College was set. I come from Australia, but Montgomery’s books have always made me want to visit Canada. I love the Story Girl books! I need to reread them. Did you see my recent post about The Blue Castle readalong in November? My friend Naomi (https://consumedbyink.ca) and I are co-hosting. We’d love to have you join us! We read the Emily books together earlier this year and we both want to keep revisiting the LMM novels we read when we were young. Jane of Lantern Hill and A Tangled Web are also on our list. It’s lovely to meet you, Ruth, and I hope you’ll get a chance to visit PEI (and perhaps also “Redmond College”) someday. I’ve often wondered the same thing and I’m afraid I don’t know the answer. I don’t think she lived there, but I don’t know the details of whether there’s some other connection, or of how that story came to be repeated so often.